Home / News / Tatafo / Wow! 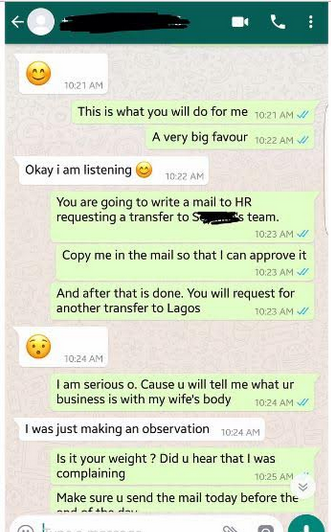 See What Husband Did To Female Staff Who Made Advances At Him And Also Insulted His Wife! Wow! 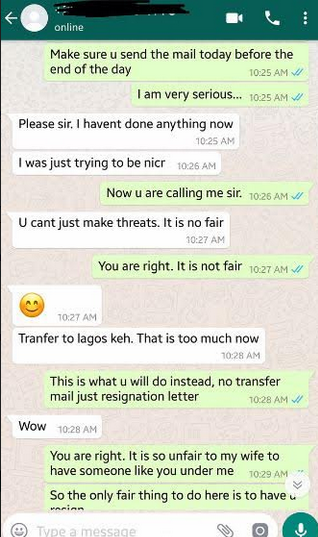 See What Husband Did To Female Staff Who Made Advances At Him And Also Insulted His Wife! 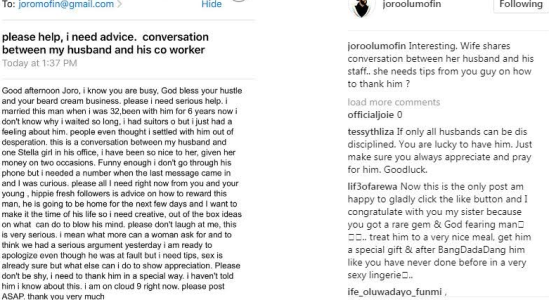 This post was shared on Psychologist, Joro Olomufin's page showing a conversation between a man and his female staff who made advances at him and also had unpleasant opinions about his wife. 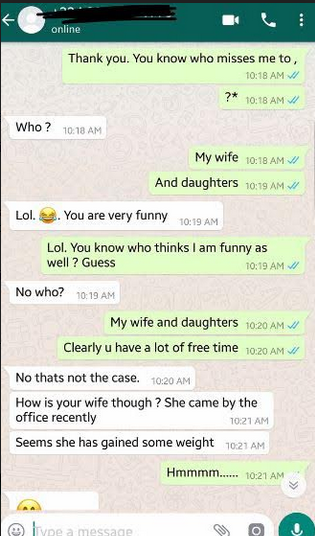 The post was shared by the man's wife who stumbled on the conversation and she is looking for the best way to thank her husband. 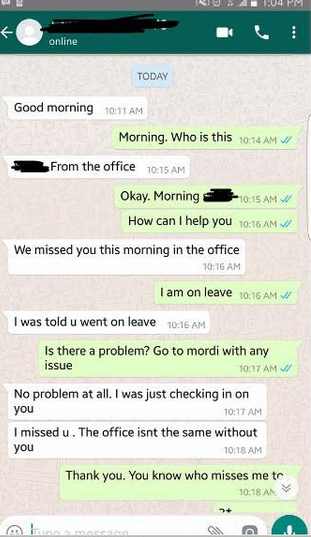 From the conversation, the man is currently on leave so his female staff decided to chat him to remind him that the office isn't the same without him and even went on to tell the man his wife has added weight. 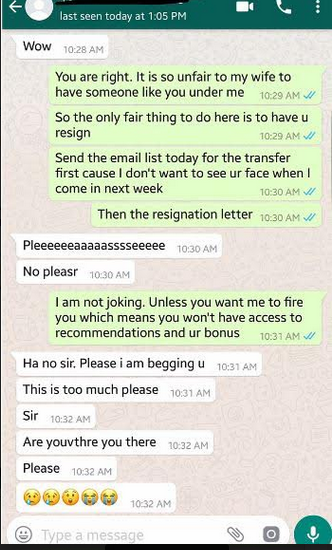 Clearly the man was having none of that as he told the lady to send her resignation letter before the end of the day. At first, the lady thought he was joking but later began to beg after she realized he was serious. This man defintely deserves the husband of the year award!